Amy is always excited to work with improv groups, and help them play to their strengths. She is most excited to experiment with pulse edits, mirroring, choral speech, attack, as well as addressing fears and true stories on stage. She has conceived of many formats in her time with Rapid Fire Theatre, as well as a director abroad. In 2012, Amy created Rapid Fire Theatre’s BONFIRE Festival; A Celebration of Longform Improv. The focus of BONFIRE is to give ensemble members an opportunity to devise and experiment with new long-form formats. Through this process, Amy had the opportunity to vet and nurture numerous new improv projects annually. 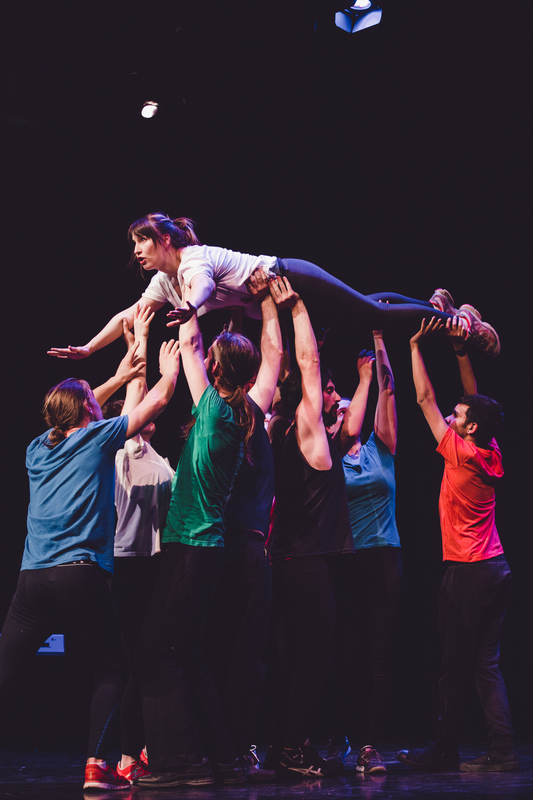 From genre-focused epic quests, to wrestling-inspired Theatresports matches, to a show where performers each speak a different language, BONFIRE is about encouraging risk taking. Amy takes this spirit with her when directing any improv ensemble. Amy is one of the most unfettered improvisers and improv directors I know! We asked Amy to work with us a director and mentor because she has an incredibly sophisticated approach to directed improvisation. Amy knows how to develop an improv performance to its full potential by looking at form, style, concept and execution. She is talented, generous, rigorous, and we love working with her! Amy is the best kind of teacher and creator; someone who is passionate, wise, and curious. I’ve had so many joyful moments onstage performing with her, and gained so much understanding of my own practice learning from her. Amy’s talents as both an artist and instructor are among the best I’ve experienced.